Savannah for Morons is a high-energy, whirlwind comedy trip through some of the zaniest, wildest, and most hilarious history that Savannah has to offer. 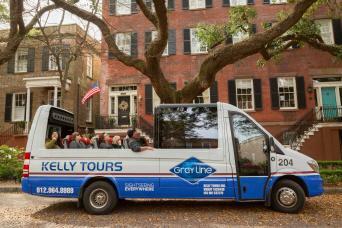 90 Minute Historic District Comedy Trolley Tour with complimentary pick up and return to Historic District Hotels and Savannah Visitor Center. This tour is not suggested for guests under the age of 13. There is a mid-point break at for an adult beverage. Please confirm date and times before submitting a reservation. Booking cannot be changed once reservation is made. Departs Fridays at 7 p.m. and Saturdays at 11 a.m.and 1:30 p.m. 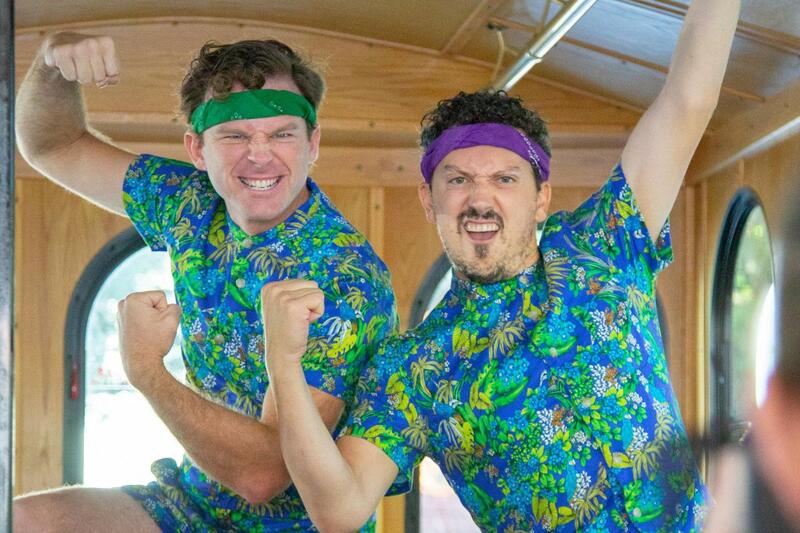 The romper- suited guys were hysterical and creative. The off-bus crowd reactions we're too much! Billy and Danny were a great standup team ! I highly recommend this tour! Jack the driver was a good sport as well! I will take more family and friends on this tour for sure! Ghost Coast Distillary was an added bonus! 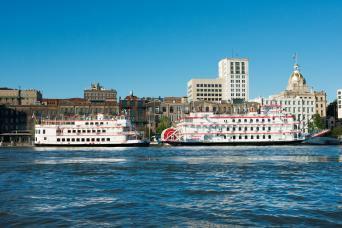 Spice up your trip to Savannah with a ride on the funny side! 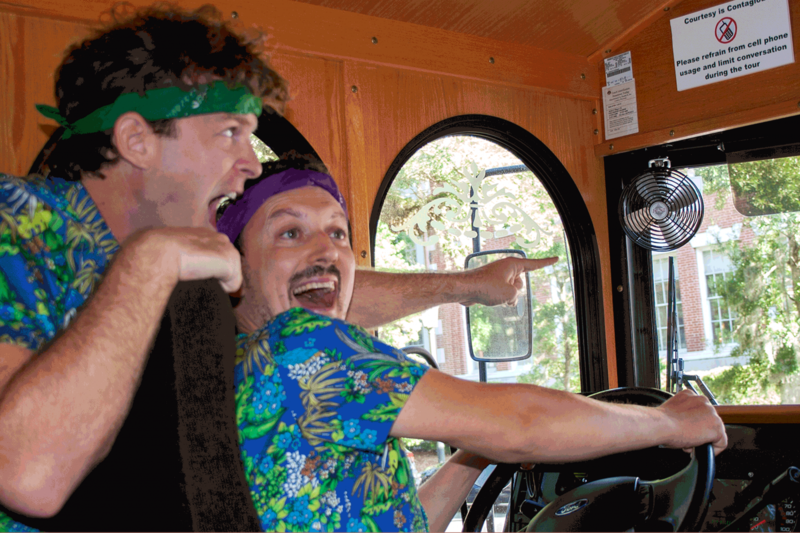 Savannah for Morons, The Trolley Tour is a comedy show on wheels that roasts nearly 300 years of Savannah lore in just 90 minutes. A witty, outrageous history lesson, perfect for morons and their smarter-er friends, this tour features outrageously entertaining comedy skits, musical numbers, costume changes, a few absurd appearances, and loads of Savannah history. Hosted by the infamous Moron Twins, Johnny and Danny Moron, this mad romp around Savannah will give you all the inside gossip on practically every important moment that has transpired throughout Savannah’s deep, complex, and intoxicated past and present; from the founding of the colony of Georgia to the Civil War; from little known Paula Deen trivia to why every tourist must take a selfie on the Forrest Gump bench. 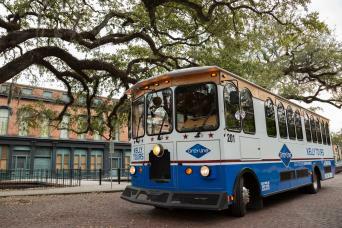 Trolley departs from both the Savannah Visitors Center at 301 Martin Luther King Blvd, Historic District Hotels. Tours depart on time and the time on your voucher and is the full length of your tour (90 Minutes).